Affordable Website Hosting Available Today! Fast, Reliable Website Hosting Service. We offer a range of different hosting packages to suit you and your business needs. The range can include different levels of webspace, multiple databases, many mailboxes etc. The hosting is UK based using the latest Dell servers, which can help with search engine visibility. The key we feel for the customer is to have the website registered/renewed, hosted, supported, managed and designed in a one stop shop. Prices Start from £10 per month! You can still register a domain name with us even if you don't want the hosting. We can still build your website even if you have your own hosting, though we would prefer to build and host your website. Manage, edit and support your website even if we didn`t build it. Various add-ons for your website can be included e.g. wordpress blog script, forums, contact forms, email forwarding, etc. 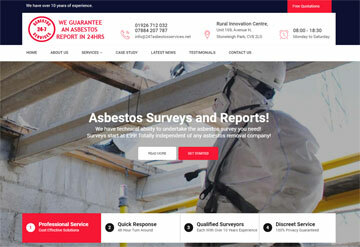 When you hire us to design a website for you, as part of the deal you will get a free .co.uk domain and 1 year hosting(bronze level) for your site. Our hosting solutions are a great deal with regards to speed, security and cost, there is also a choice of Windows and Linux platforms depending on your needs. Your Account Manager is on hand to ensure your hosting set up or transfer goes as smooth as possible. Making sure that all of your hosting requirements are completed as quickly and effectively as possible. Performance, support and service improvements will be noticeable in no time. You wont be on your own and your site`s new hosting will be set up and running in no time. Your account manager will also know your website from its code, to its design and will know what hosting requirements suits you best.